The increasing rate of crime and accidents in cities has driven us to be constantly on edge. We worry all the time, be it about a child who is out late or a parent who is home alone. But itai??i? ?s also the best time to use technology to its fullest potential to avoid mishaps and thatai??i? ?s exactly what RedDot is working towards. The Bengaluru-based tech company has launched a tiny wearable device, also called RedDot, that can be paired with your smartphone. The circular gadget is designed to emulate the idea of a panic button. ai?? ?The idea for such a safety device came to us in 2005, when the Pratibha Murthy murder case made headlines,ai??? says Vijay Mysore, CEO. ai?? ?But back then, mobile phones were too new. We were able to execute the idea only by mid-2015 when the bluetooth low energy devices had started catching on,ai??? he adds further. 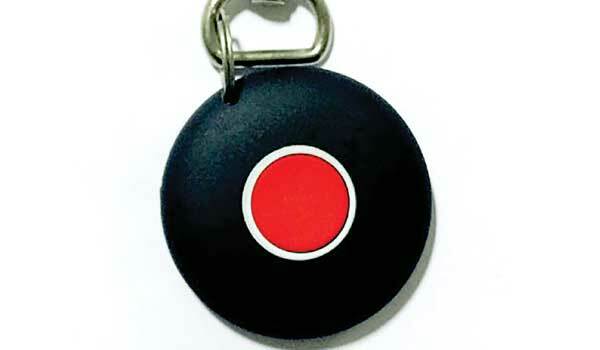 The RedDot device can be clipped to your shirt collar, to the sari like a brooch, or can be tagged to your keychain or worn using a lanyard. The gadget is synced to the RedDot app in your mobile phone. If the user is in distress, and even if the mobile phone isnai??i? ?t within reach, the person has to just press the red dot. ai?? ?A vibration confirms that an SOS has been sent to all the designated individuals who are alerted immediately on their version of the app,ai??? explains Vijay. The gadget is suitable for individual users, as well as companies to track the safety of their employees. Going further, Vijay and his team are working towards including volunteers from citizen forums who can be alerted through a seamless network so that people are safe at all times.